Located on a gate of Southwest Anatolia opening through a sea, Milas has been known as “city of monuments”, “city of marbles” throughout history. Milas used to be the capital of Karia civilization at the ancient times, and Menteşe Beylik in the 14th century. From ancient times to the present, Milas has always been a live production and trade center with its various products growing in its fertile soils, livestock, marbles, forestry products and mines. Especially olive and olive oil, tobacco, cotton worldwide known Milas carpets have contributed a lot to Milas economy. Nowadays, Milas has the 10 percent of olive tree and 68 percent of culture fish production existence of Turkey. Feldspar, aluminum bauxite, emery stone and marble extracted from Milas region are exported to many countries. Also, with Yeniköy Thermal Plant of 2 x 220 capacity and Kemerköy Thermal Plant of 3 x 220 capacity are amongst the biggest two industry plants of Milas. In Milas, having such alive and various production and trade potential, background of organization of craftsmen and merchants based on ancient years. Craftsmen organization has started along with ahi-community and guild tradition when Turkish people arrived at the land on mid 13th century. Ahi community and guild organization continued for many years in Menteşe beylik and following Ottoman Empire period. Following the decision of Ministry of Agriculture and Commerce on “establishing of a chamber of commerce in brigades and districts” on August 2, 1882, establishment of chambers of industry and commerce in Anatolia has become widespread, thus guilds lost their efficiency. In this period, Milas Chamber of Commerce and Industry established in 1923. Our Chamber that is at the same age with the republic celebrated its 90th year this year. In accordance with the law on “Obligation of Using Turkish in Economic Institutions” issued on April 22 1926, name of the chamber is changed into “Republic of Turkey Milas Chamber of Trade and Industry”. After that, along with the Law of Chambers and Exchanges of Commerce and Industry enacted on March 8, 1952 name of Republic of Turkey Milas Chamber of Trade and Industry has been changed into Republic of Turkey Milas Chamber of Commerce and Industry. After the transformation Izmir Industry Union to Izmir Chamber of Industry in 1951, in 1954 Aegean Region Chamber of Industry (EBSO) has been established including Aydın, Muğla, Denizli, Manisa and Balıkesir provinces. Thereon, an EBSO branch is established at the same year in Milas. Thus, when industrial branch is removed from the body of Milas Chamber of Commerce and Industry name of the Chamber has been changed to Milas Chamber of Commerce. Having been representing industrialists from Bodrum to Fethiye for years, BESO Milas branch had continued giving service until March 31, 2007. 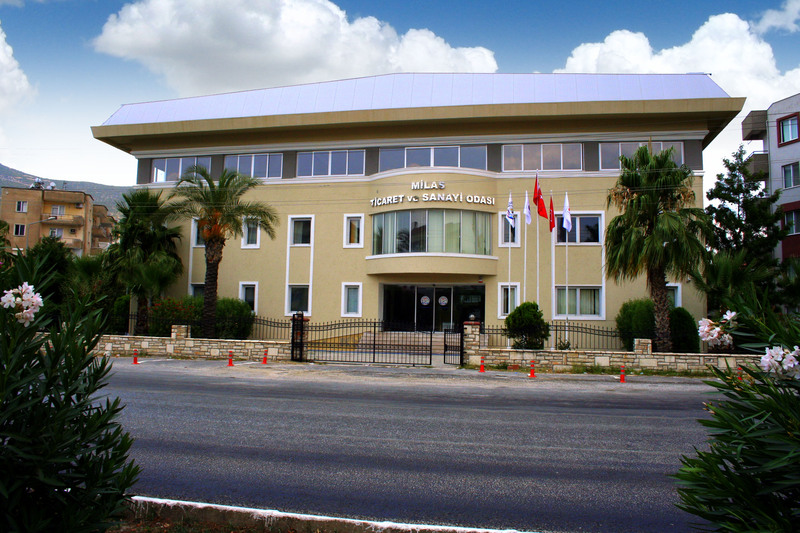 On January 1, 2008 Milas Chamber of Commerce has become Milas Chamber of Trade and Industry as well along with Muğla and Fethiye Chambers of Commerce. With that, members of EBSO Milas Branch have joined Milas Chamber of Commerce and Industry. With 2300 members today, Milas Chamber of Commerce and Industry offers service to its members. By adopting the problems of its members, Chamber aims to expand new horizons to its members and to our region via the projects it formed and studies it conducts. Maintaining its activities in accordance with this objective, with the service quality it has reached, Milas Chamber of Commerce and Industry has been entitled to receive Accreditation certificate in 2012 by Turkish Union of Chambers and Commodity Exchange (TOBB) and Turkish Standards Institution (TSE) showing it “offers service in EU standards”.